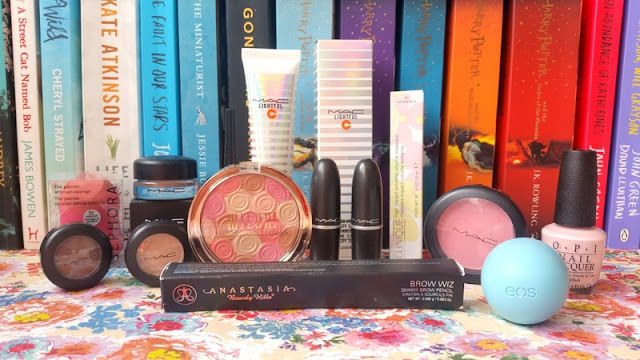 One of my favourite things to do in Florida is to visit Sephora and Walgreens, and treat myself to a few beauty products that I don’t typically see in the UK. Walgreens is great for drugstore makeup from American brands such as Cover Girl, Milani, Almay and Neutrogena. Sephora stocks more high-end products from Hourglass, Anastasia Beverly Hills, Nars and Marc Jacobs. 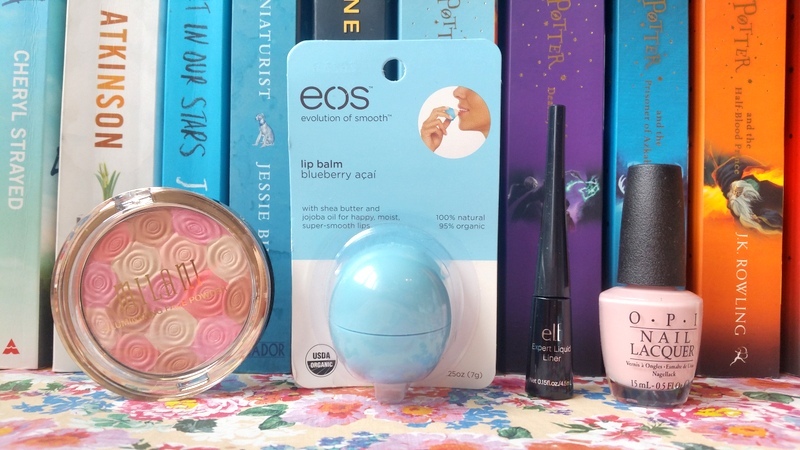 It’s basically every beauty lovers dream! Here’s a run down of some of my favourite purchases from the US and a sneak peek of what you have to look forward to on The Beautiful Bluebird in the next couple of months! My honeymoon haul can pretty much be split into three groups; my duty-free MAC splurge, my US drugstore buys and my Sephora goodies. Let’s begin with my new MAC products. These purchases were actually made at London Gatwick in the duty-free shop. I had 5 hours to wait for my connecting flight and all the prices were slightly reduced so I couldn’t help myself! My anxiety majorly started to kick in as I approached the counter, as I’ve only ever bought lipsticks from MAC online and recently I’ve watched a lot of YouTube videos from disappointed Vloggers who had really bad customer service experiences at MAC. I’m very happy to report that although the counters were crammed full of tired and grumpy tourists the staff couldn’t have been any lovelier. With so much temptation and no wedding to save up for, it’s safe to say I went a little overboard! I went in looking for a BB cream and came out with the MAC Lightful C Tinted Cream with Radiance Booster & SPF 30 in Light (£25.50/40ml). I also picked up two lipsticks, one in Modesty and the other, in my all time favourite shade, Creme Cup (£15.50/3g), I picked up three single eyeshadows in Goldbit, Satin Taupe and Silver Ring (£13.50/1.5g), a Pro Longwear Paint Pot in Painterly (£16/5g) and Powder Blush in Lovecloud (£18.50/6g), all at a slightly reduced price. My new MAC purchases are now some of my favourite items in my entire makeup collection! Left to Right: Satin Taupe, Goldbit and Silver Ring. Walgreens is basically a huge pharmacy with rows upon rows of drugstore makeup brands. I was excited to see a huge Boots stand with No7 goodies welcoming me as I entered the store, they must be trying to break the US market so good luck to them! I made three purchases; the EOS Lip Balm in Blueberry Acai ($4.99), Milani Illuminating Powder in Beauty’s Touch 03 ($9.99), e.l.f. Liquid Eyeliner ($2) and OPI Nail Lacquer in Sweet Heart ($9.99). I was so happy to find my favourite liquid eyeliner retaining for only $2! Isn’t this beautiful? 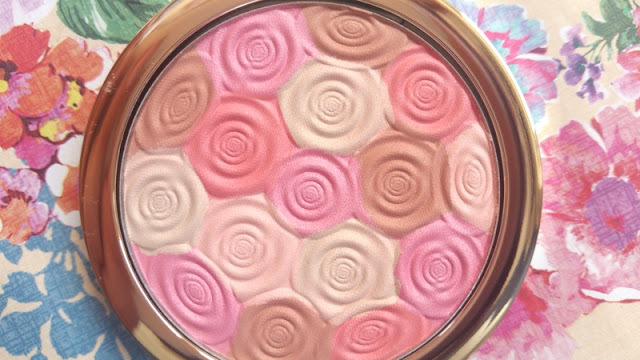 It’s a highlighter bronzer & blush! 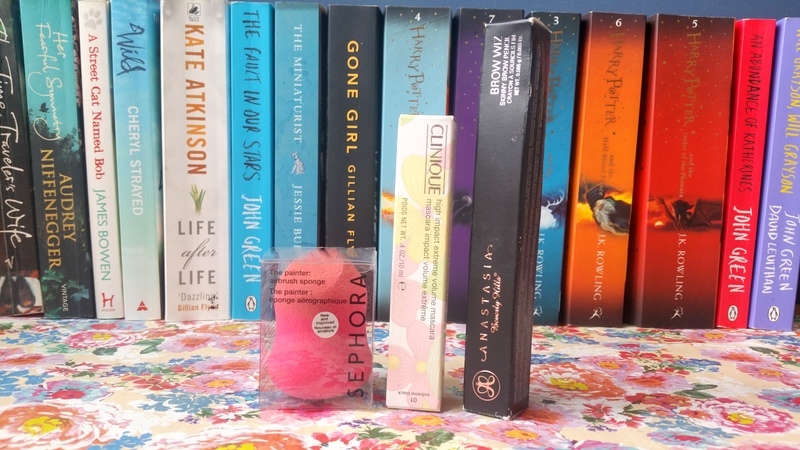 And finally my three gorgeous Sephora buys. I spent over an hour in Sephora and nearly walked away with a Kat Von D Autograph Eyeliner too but resisted. I have a whole post planned about my visit to Sephora – I took so many photos! In the end I decided to go for the Sephora Painter Airbrush Sponge ($12) (which looks like it could be a dupe for my recently deceased Beauty Blender), Clinique High Impact Extreme Volume Mascara ($19.50) and the Anastasia Beverly Hills Brow Wiz in Taupe ($21.50). I saved up quite a bit of pocket money to splash out on this trip and I think I used my money well! I can’t wait to start playing about with all my products. Unpacking my suitcase and seeing all these beauts come tumbling out definitely helped to fight off the post-holiday blues. Some of you might be reading this post and think my haul was a little excessive, but hey, everyone’s allowed a treat every once and a while. Plus I basically just paid for a four course meal for 70 people, so I think I deserve it! What do you think of my honeymoon haul? Anything in-particular catch your attention? 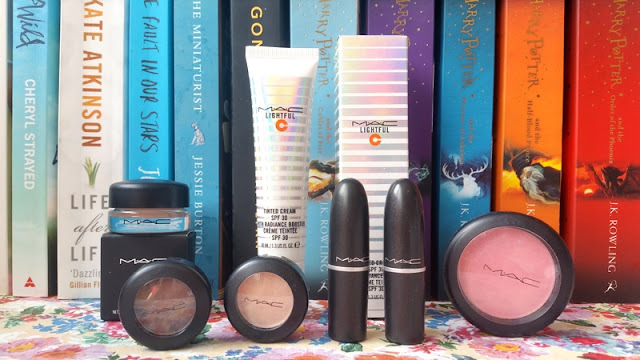 What are some of your all-time favourite MAC products? Thanks for reading my little bluebirds, and don’t forget on follow me on Bloglovin! "You Beauty Discovery Box Summer Essentials Box | Review & Unboxing"
"Wedding | Bride, Honeymooner and Wife"